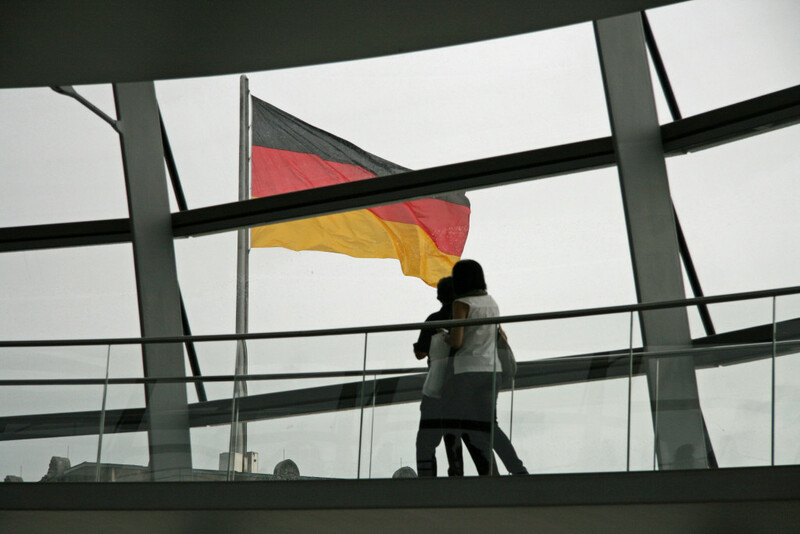 The view from the roof of the Reichstag must be one of the best free views in Berlin. 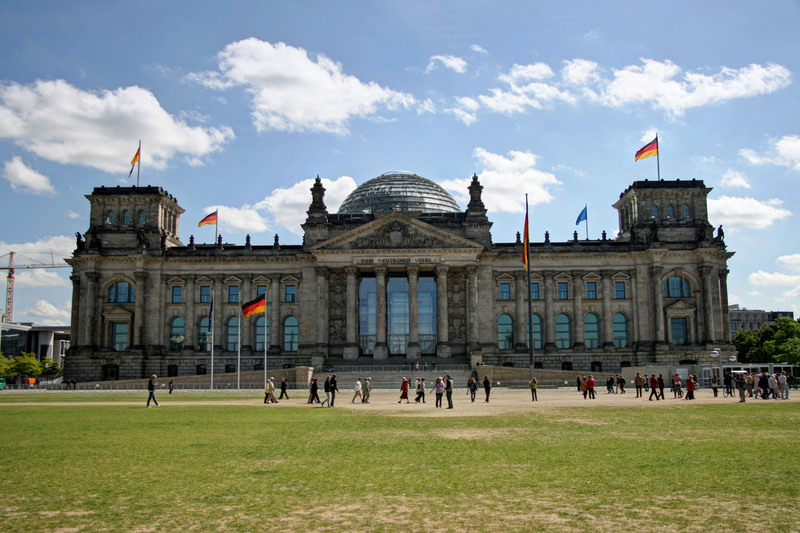 The Reichstag, built to house the German parliament, was formally opened on 5 December 1894 but shortly after the Nazis came to power in 1933 it was ravaged by fire. During the years of division, the parliamentary seat of the Bundesrepublik Deutschland (West Germany) was in Bonn but following reunification the Bundestag (German parliament) voted to return the seat of power to Berlin. Sir Norman Foster was selected to draw up the plans for the reconstruction of the building and the Reichstag resumed its function as the parliamentary home in 1999, complete with a spectacular glass domed roof. 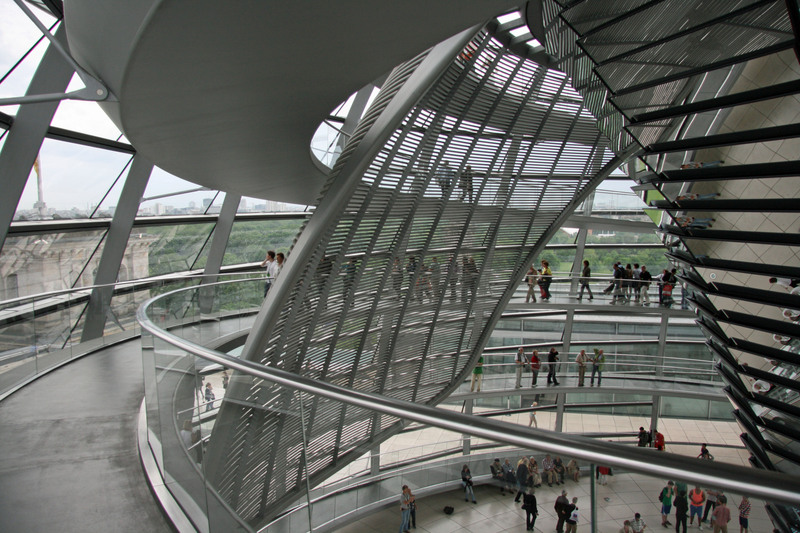 The cupola is 40 metres in diameter and a spiralling walkway allows visitors to climb to a viewing platform below the opening in its roof. The opening allows stale air to escape from the plenary chamber below and the light sculpture, a cone of 360 mirrors, reflects light back down reducing the energy needed to light the chamber. 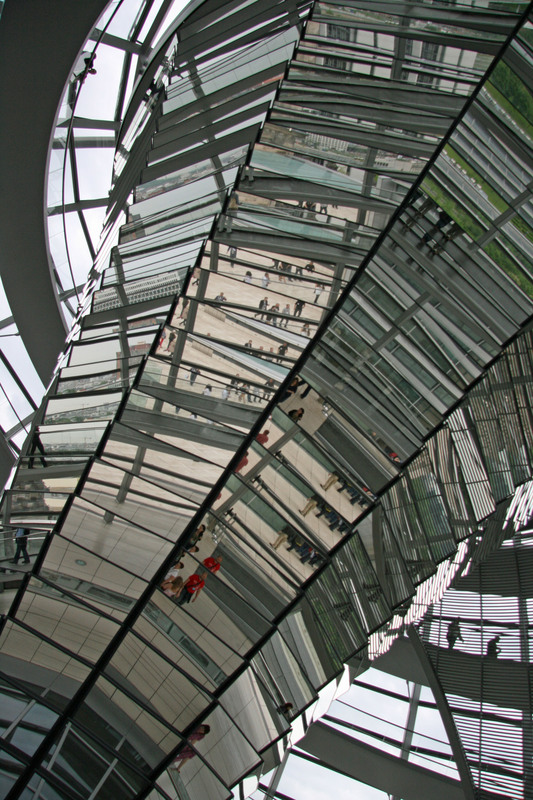 A giant sunshade rotates with the movement of the sun to reduce the glare of the reflected light. The energy needs of the building are also served by 300 square metres of solar panels on the roof. 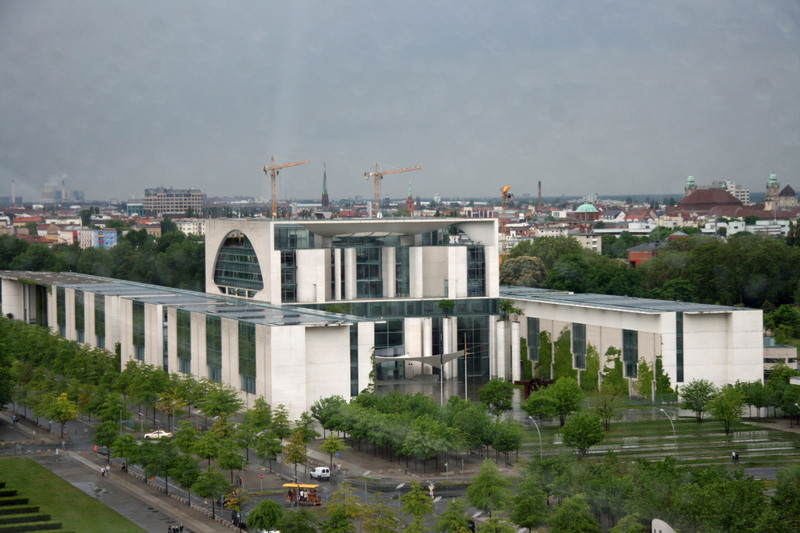 Even on a rainy day the elevated position affords some wonderful views over Berlin. 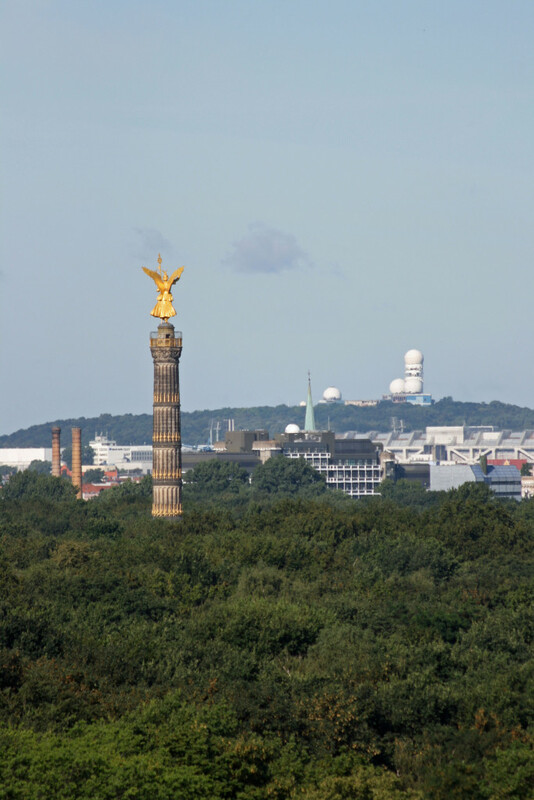 On a clear day you can see far into the distance and pick out many of Berlin’s landmark buildings with the help of the leaflet ‘Outlooks Berlin panorama: View from the dome’ available in the reception area. 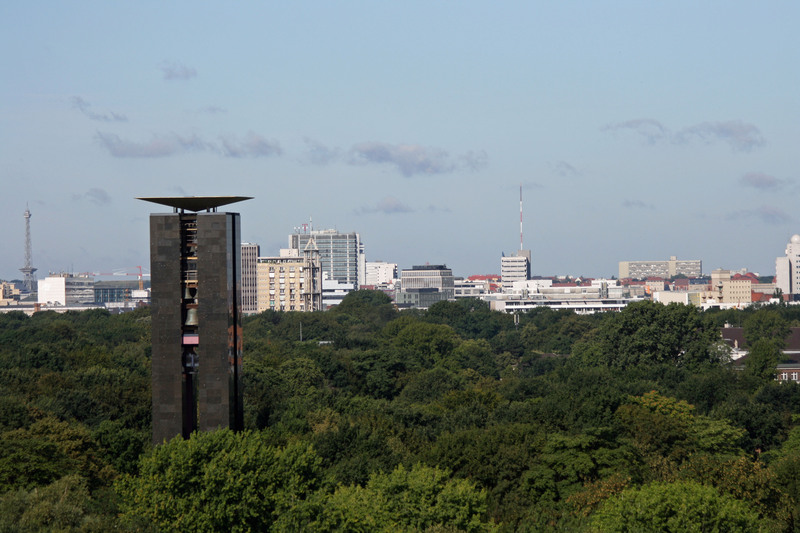 The Carillion and Tiergarten in the foreground and Funkturm (West Berlin’s TV Tower) in the background. The Siegessäule rising from the Tiergarten and in the far distance the former NSA listening station at Teufelsberg. 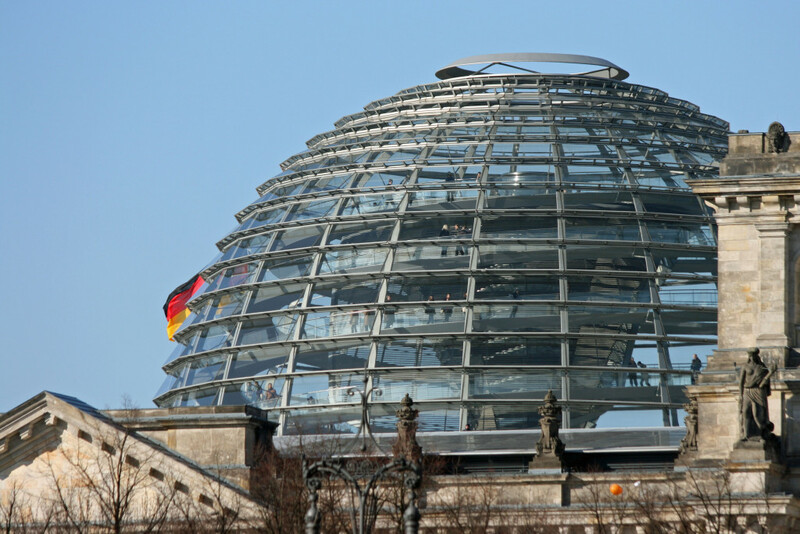 An audio guide is also available free of charge and provides a commentary to accompany the climb up to the top of the dome and the return to the roof. 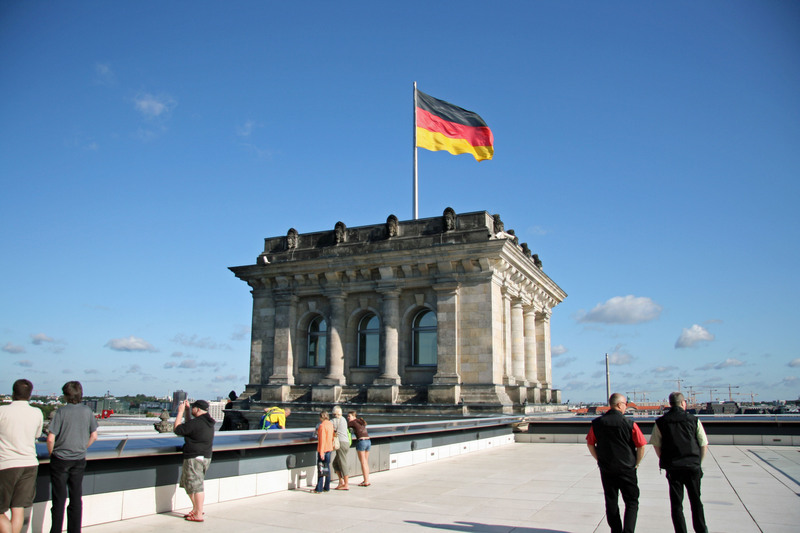 The German flag flies from three of the four corners of the roof. The flag of the European Union flies from the other corner. 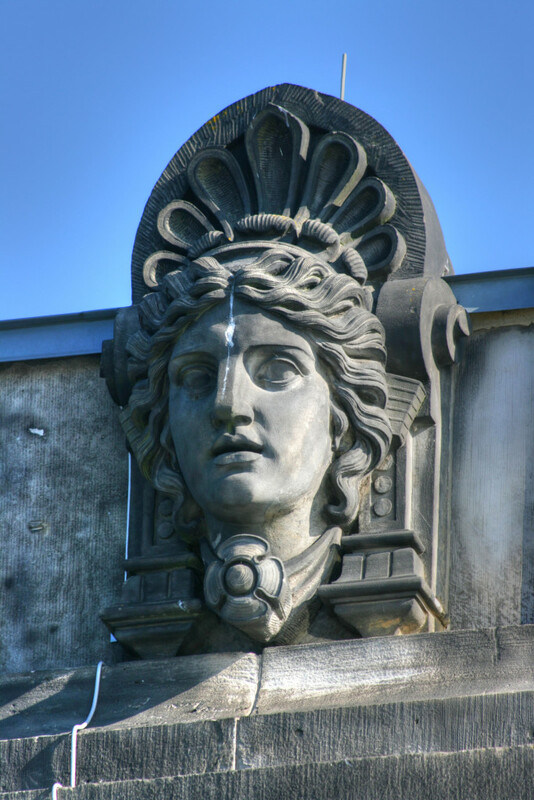 The stonework around the roof space is decorated with some very impressive statues and figureheads. 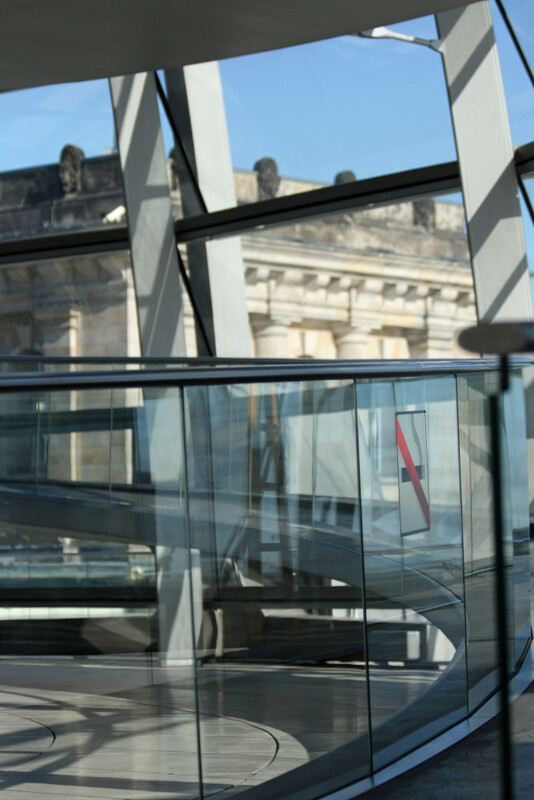 Visits to the Reichstag in Berlin are only possible with an advanced registration on the Bundestag website and don’t forget to take photo id with you on your visit. I didn’t know you could have go inside, cool. Will remember that for next time. 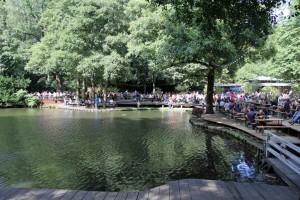 Have you been to the listening post in Teufelsberg? 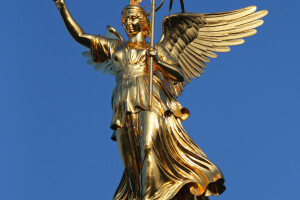 I went to Teufelsberg on my second trip in 2010 and absolutely loved it. In fact, it ranks as one of my best experiences. I’ve included a link to my post about it in this post. Have you been? I haven’t been unfortunately but James (below) has. He’s written about his experience of it on his blog. I’m not great with heights – did you go high up? Will check out your entry on the listening post! 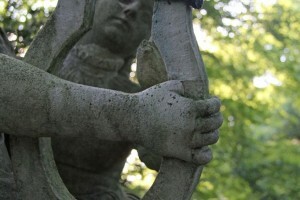 It was James’s post about Teufelsberg that first lead me to his blog. 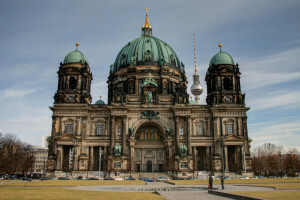 I went to the top and the dome of the tallest tower is the most incredible the domes I saw. I’ve never experienced a sound as disorientating as my own footsteps echoing around in there! I can understand that it wouldn’t be the best experience for you if you’re not good with heights though! Luckily Berlin has plenty to see at ground level too. Wow, didn’t know you could see the spy station from there. It really was quite obvious wasn’t it? James, when I took that photo I hadn’t heard of Teufelsberg but was curious about the odd shaped building. When I was looking back over my photos a couple of years later I was amazed that it was so clearly visible. Nice photographs. Really like the 5th one down. Great reflections.